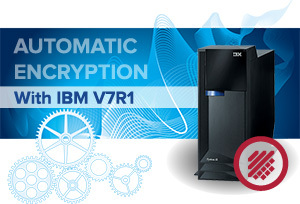 The newest version of the IBM i (AS400) operating system, V7R1, brings sophisticated new security tools from IBM’s larger systems to mid-range markets. These new features allow third-party companies such as Townsend Security to offer NIST-certified automatic AES encryption, so that you can now encrypt your sensitive data without application changes! With the update from V5R4 or V6R1 to V7R1, the AS400 can now protect data more efficiently by using FIELDPROC, an “exit point” technology that works in the database instead of in application programs. Previously, IBM i (AS400) encryption was an application-level process where a user had to first identify the field such as credit card numbers, social security numbers, or other private information and then decide on an approach that usually involved modifying applications. This required programmers to make changes and undergo a sophisticated test cycle. The new FIELDPROC exit point allows a user to identify all fields they wish to encrypt with Townsend Security’s automatic AES encryption without making application changes. 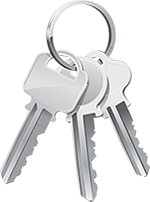 AES encryption is automatic, meaning that no changes in applications need to be made. 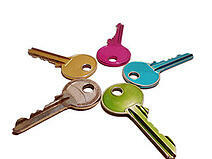 This saves your company time and money by focusing on your business instead of a complicated encryption project. NIST-certified encryption will pass all state, federal, and industry compliance regulations. Townsend Security guarantees our NIST certified Alliance AES/400 solution will meet or exceed encryption standards in PCI, SOX, HIPAA/HITECH and other regulations. Third-party encryption can be faster. Alliance AES/400 from Townsend Security can encrypt one million credit card numbers in one second of CPU time--100 times faster than competing encryption libraries on the same IBM i platform. Because encryption has a reputation for creating performance problems, the newly specialized FIELDPROC tool optimizes encryption and sets up secure caches. Townsend Security’s Automatic AES Encryption integrates seamlessly with these features to create the most secure data environment available on the IBM i (AS400) today. Download our podcast on "The Benefits of FIELDPROC Encryption" to learn more about FIELDPROC capabilities and the benefits of automatic encryption. Additionally, we have a podcast titled "FIELDPROC Performance - Speed Matters" for those who are wondering how it will impact their systems. It was fascinating to read the headlines this week about the terrible flaw that was discovered in the Advanced Encryption Standard (AES). It sounded like the end of security as we know it. I read blogs and articles that headlined “AES Broken” and “Fatal Flaw in AES”. It was fun reading, but completely misleading. So, what really happened? Three cryptographers (Andrey Bogdanov, Dmitry Khovratovich, and Christian Rechberger) found a slight mathematical weakness in the AES encryption algorithm and published a paper on their findings. These aren’t hackers trying to break into systems. These are professionals in their field working on cryptanalysis projects. This is what the professional cryptographic community does, and we all benefit from their work. They are to be applauded for their findings as it advances our understanding of cryptography and cryptanalysis, and this leads to more secure systems. What is the practical impact of their finding? Do we all need to bunker down in a newly insecure world? The earth is due to burn up in about 500 million years, so we don’t have anything to worry about quite yet. By the way, this work points directly at the value of using standards-based encryption. The cryptographic community does not work much on non-standard algorithms and propriety methods. If there is a weakness in an encryption method, we really want the good guys to find it. Weaknesses in non-standard algorithms and methods are likely to go undetected for a much longer period of time. I’ve always liked those Holiday Inn Express commercials with the theme of “Stay Smart.” The commercials portray an “expert” stepping in to save the day. In one, a “nuclear expert” takes charge of a reactor about to melt down. In another a “doctor” arrives to deliver a baby just in the nick of time. The tag line is funny because the so-called expert turns out not to be a nuclear scientist or a doctor, but just an average person who stayed at a Holiday Inn Express. That made them “smart.” Don’t worry; I’ll bring this discussion back to encryption momentarily. A while back, reports surfaced of broken encryption security for some Kingston, Verbatim, and SanDisk secure USB storage devices. Not all of the vendor’s devices were affected, but some of their most popular products were. All these products were NIST-certified, causing some industry commentators to erroneously question the certification process. Being a big believer in independent certification, I’d like to weigh in on this controversy and set the record straight. As it turns out, the weakness, in these devices, was not in the actual AES encryption, but in the key management processes. All the affected vendors quickly released replacements or patches to fix the problem, which is the right thing to do. But it was fascinating to watch some of the responses to this problem. Many commentators complained that the FIPS-140 testing was faulty, or that FIPS-140 testing was irrelevant. The implication is that FIPS-140 does not really give you any assurance of security, and therefore, also by implication, that it is not important. This is really the wrong conclusion. Let me talk a little about FIPS-140 certification and what is does mean. First, FIPS-140 certification is not a guarantee of security. It is an assurance that encryption and related security algorithms have been implemented in compliance with published standards, that an application uses good practices in exposing it’s operational interfaces, that start up tests validate that the application has not been modified or corrupted, that cryptographic material is not exposed in application logs or leaked to memory, and that an independent expert has reviewed the source code. Going through a FIPS-140 certification is a grueling process for an encryption vendor and almost always results in finding some issues that need to be addressed to make the product more secure. Companies that engage in FIPS-140 certifications produce better products, and become better security designers in the process. Is the FIPS-140 testing and certification process perfect? Of course not. That’s not a standard anyone can meet. In fact, NIST is working on a project right now to enhance the process. Believe me, the new certification process (probably to be named FIPS-140-3, for version 3) will not be weaker than the current process, it will be better. The lesson from the encrypted USB problem is not that FIPS-140 certification is meaningless. It’s that doing encryption right is really difficult. If you want a secure USB storage device, you would NEVER consider using a product that was not FIPS-140 certified. We have plenty of experience of broken security on non-certified products. Problems with certified products are rare, but do happen. Usually you will find that a problem with a FIPS-140 certified product is with some aspect of the application that was out of scope for the certification. That’s the case for the encrypted USB devices that had problems. To bring us back full circle, I just want to say that no responsible Enterprise should trust a non-certified USB device, anymore than you or I should trust a “doctor” to perform surgery because that “doctor” stayed at a Holiday Inn Express. The sad fact is that many large corporations today are putting their trust in encryption vendors who have not FIPS-140 certified their products. The management of these companies would never consider using a $100 secure USB device without certification, but do entrust the protection of huge amounts of sensitive data to non-certified vendors. In this age where too many try to pass themselves off as experts, it often takes an organization like NIST to certify the expertise behind something as important as encryption. I’m proud of our NIST certifications – we will never back down from our commitment to provide you with the best security products and our commitment to independent certification. You can learn more about FIPS-140 certification on our web site, or directly from NIST at www.NIST.gov.